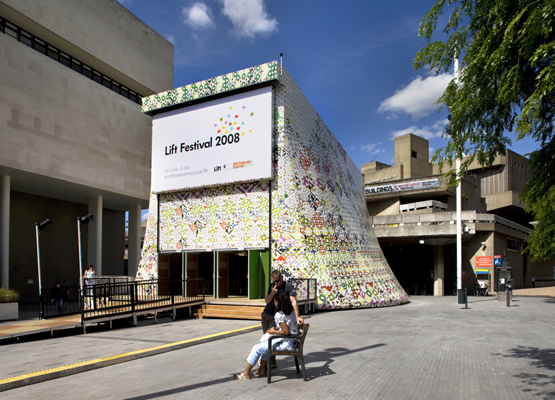 The London International Festival of Theatre (LIFT) wanted to commission a mobile theatre and meeting space for the 2008 Festival. Working with The Architecture Foundation, they set up an international design competition, inviting design teams to develop their vision for this innovative structure. LIFT was keen to ensure that the process worked with local people to help select and shape the design, and invited The Glass-House both to sit on the competition jury and to support an engagement process to involve a group of local residents in the judging of the competition. The Glass-House designed and delivered a workshop to introduce design principles to a group of local residents, the ‘community jury’, and to collectively explore what we value in architecture. With a particular focus on how the quality of public spaces and building affect our social interactions, this workshop aimed to give the group a common set of principles on which to judge the shortlisted designs. The next stage was a facilitated workshop at which the community jury interviewed the shortlisted design teams. Our role at this workshop was to ensure that the process ran smoothly and to act as a ‘jargon buster” where necessary. We collected feedback from the local people on what they felt were the strengths and weaknesses of the designs put forward, and whether the design teams would be able to support an ongoing dialogue with local people and manage a participatory design process. This was fed back to the jury when judging the shortlisted teams. In the end, the design team preferred by the community jury was selected by the full jury of professionals, and all agreed that that the community input was extremely valuable in their decision-making. The community jury offered an important space to test the competing teams’ design concepts with people outside the design professions, and also to explore how the design teams might engage with local people throughout the project development. LIFT were interested in a truly inclusive and locally engaged design process for their New Parliament, and this process set a clear brief for the participating design teams and embedded a dialogue with local people from the outset. For participating local people of varying ages and backgrounds, it was an opportunity to come together to explore how our built environment affects us, and also to put forward their values and aspirations for how local people should be involved in bringing new spaces to life in their neighbourhood.